Maldives Inland Revenue Authority (MIRA) has donated MVR 52,000 to develop the play area at the Development Center run by Care Society. The donation was made through their Corporate Social Responsibility (CSR) program. The donation was officially made at special evening for children hosted by Care Society yesterday. 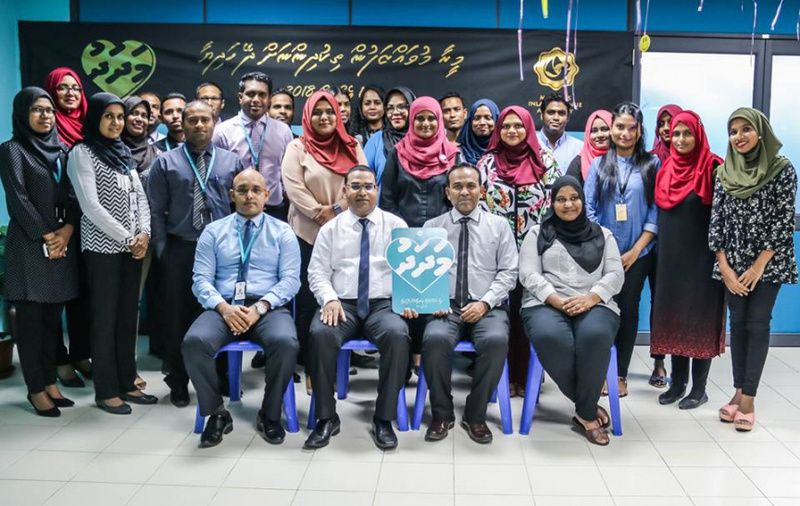 The ceremony was attended by MIRA's Commissioner General of Taxation, Yazeed Mohamed and Deputy Commissioner General, Hassan Zareer alongside many employees. The Chairperson of Care Society, Thoha Saleem and other officials of the organization were in attendance. Commissioner General Yazeed said that such donations are carried out due to the giving nature of the MIRA employees and they plan social events every year. The Chairperson of Care Society, Thoha Saleem, spoke at the ceremony saying the MIRA donation would serve in fulfilling an important achievement for the children of the Development Center and thanked the employees of MIRA.